Beyond Thermostats: How Will Nest's New Video Doorbell and Smart Lock Stack Up? 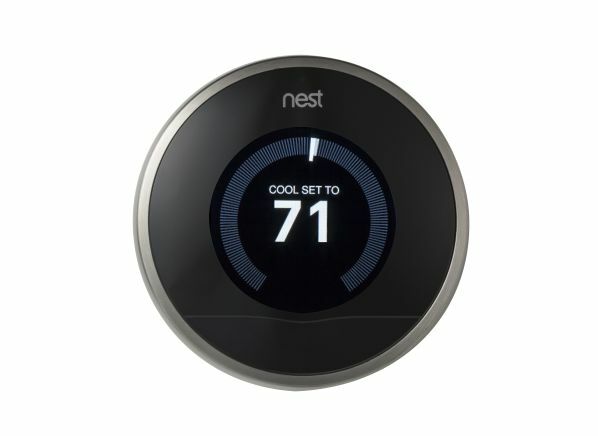 Nest has introduced several products that expand the company’s footprint in the smart home. The most notable new offerings are the Nest Hello video doorbell, $229, and Nest x Yale Lock, $249. The Nest Hello video doorbell (shown below) features a 4:3 HD picture (which Nest claims gives you a better view than competing 16:9 video doorbells), HDR video, night vision, a 160-degree field of view, person alerts, and—through its Nest Aware subscription service—24/7 video recording and familiar face alerts. The Nest Hello doorbell can also play prerecorded messages and announce the arrival of guests (even by name, thanks to the familiar face alerts) over a Google Home smart speaker. The Hello is hardwired—it can’t run off battery power like some of its competitors. The Nest Hello hardwired video doorbell, $229. A Nest spokesman said the Nest x Yale Lock (the “x” is silent) is an improved version of the Yale Linus smart lock, which never came to market. The new keyless smart lock (shown below) works with the Nest app, allowing you to remotely lock and unlock the Nest x Yale Lock, receive alerts when people come and go, and create and delete passcodes for guests and family. Like similar smart locks with electronic keys, you can also expire passcodes after a certain length of time. And if you own a Nest Secure Alarm System, you can set the Nest x Yale Lock to disarm your system when you unlock the door. To connect the Nest x Yale Lock to the internet, you’ll need the Nest Connect adapter, $69—unless you already own a Nest Secure Alarm System. Nest is bundling the lock and adapter for $279, a $39 savings. The Nest x Yale Lock, $249. 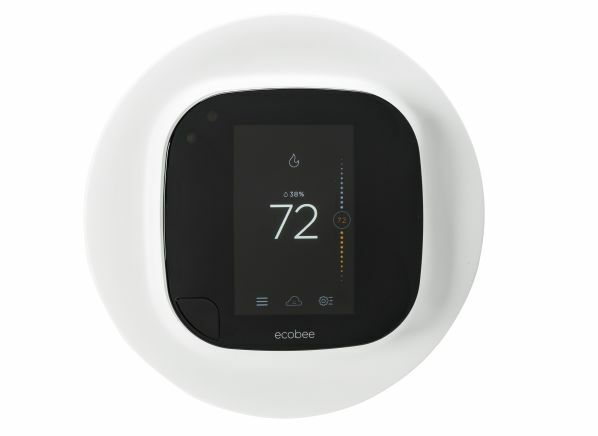 Nest has also released a remote temperature sensor, $39, for its Nest Learning Thermostat (shown below) and Nest Thermostat E. The sensor allows the devices to better adjust heating and cooling for areas of the home that are farther away from the thermostats' location. These products represent Nest's foray into the video doorbell and smart lock product categories, and the company faces some stiff competition, including Ring, the maker of video doorbells that Amazon recently acquired. Amazon also bought Blink, which is expected to release its own video doorbell sometime this year. The Nest x Yale Lock will face competition from Schlage and Kwikset, as well as Yale’s sister brand August. These new products also make the Nest and Google Assistant smart home ecosystems much more robust. While that’s great for Nest and Google devotees, it’s unclear if these products will play nice with other digital assistants and smart home ecosystems, such as Amazon Alexa or Wink. It’s also unlikely that they will work with Apple HomeKit and Siri, as no Nest device has yet to interact with Apple’s smart home ecosystem. That could change when Apple releases iOS 11.3, which will do away with Apple’s current requirement that all HomeKit devices use a special security chip. When asked about third-party integrations, a Nest spokesman told CR: "Since these products are new, we expect that we'll build more integrations, in addition to the Google Assistant integrations, over time but don't have any specific details to share right now." As for whether you should consider the Nest Hello video doorbell or Nest x Yale Lock? We’ll get them into our labs soon to put them to the test.